Morris Hall, at one time headquarters of the University Broadcasting Service and the University Band, was situated on State Street on the southwest corner of Jefferson Avenue directly across from the campus. 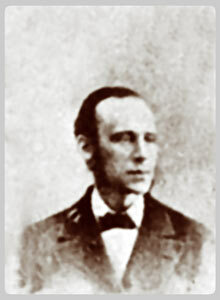 It had been the home of Professor George S. Morris who came to the University in 1870 and served for many years as head of the Department of Philosophy. For some time after Professor Morris’ death in 1889 his family continued to occupy the residence. Eventually, however, it passed to other hands and was finally bought in 1915 as a site for a Catholic chapel. In President Burton’s report for the year 1922-23 the University’s need of this site was mentioned, with the observation that it was not fair either to the Church or to the interests of the University that an elaborate structure should be placed on this corner. The Regents, therefore, in September 1922, entered into negotiations for the purchase of the property, which was eventually acquired by the University for $118,950. In 1924 the building was named Morris Hall, in honor of Professor Morris, and a room was set aside for archaeological material. 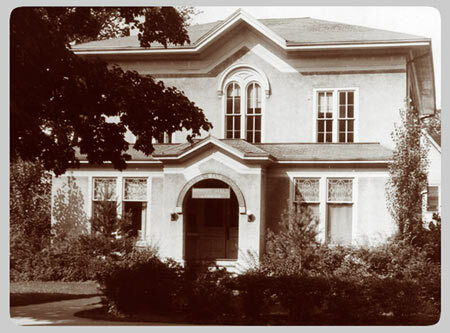 The structure was poorly adapted for museum purposes, however, and at just about this time Newberry Hall was acquired by the University to house the archaeological collections. An appropriation of $4,300 was made by the regents in October 1928, to adapt Morris Hall as a studio for broadcasting, for rehearsals of the University Band, and for other musical activities. 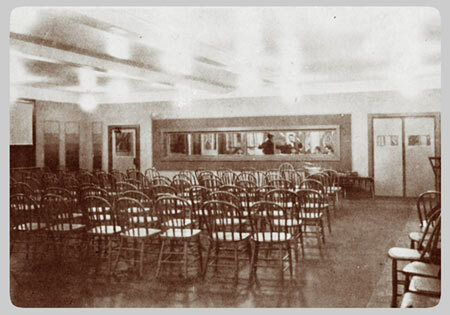 Changes made in the building which had a frontage on State Street of 40 feet and was 85 feet long, included the construction of two studios separated by a glass partition, a smaller one with perfect acoustic facilities for ordinary broadcasts, and a larger studio to serve as an auditorium for auditions and band rehearsal. The building was town down to make way for the Administration Building.